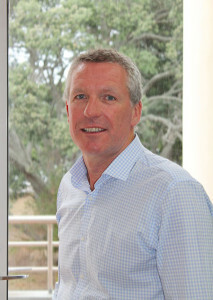 Richard Cantrell graduated from Otago University in 1991, and began his legal career in a Dunedin based general practice, specializing in property, commercial transactions, finance and trust law. With a desire to expand his professional and personal experiences, Richard and his wife then spent seven years in London, England, continuing to provide legal services to a variety of clients in High Street practices. Upon returning to New Zealand, and following periods in Dunedin and in a strong rural based practice in Mid-Canterbury, Richard and his family relocated to Auckland where he continues to provide a wide range of services, including advice in relation to commercial and residential property, business and finance transactions, trust and elder law, and estate administration. A keen sports fan, leisure time for Richard is now predominantly spent on the sidelines with his wife Kerri, following the exploits of their three children.